Use the arrow keys, Z, and X to play. Pablo is a penguin. A penguin who likes cars. And stealing. Stealing cars. He uses these stolen cars to transport certain types of goods wanted by certain types of people to certain places that the police, ahem, cops, may or may not necessarily approve of. You wanna work for Pablo? You gotta prove yourself. Strap in, hit that gas pedal, and get delivering! Crates has a full game manual complete with an original short story! 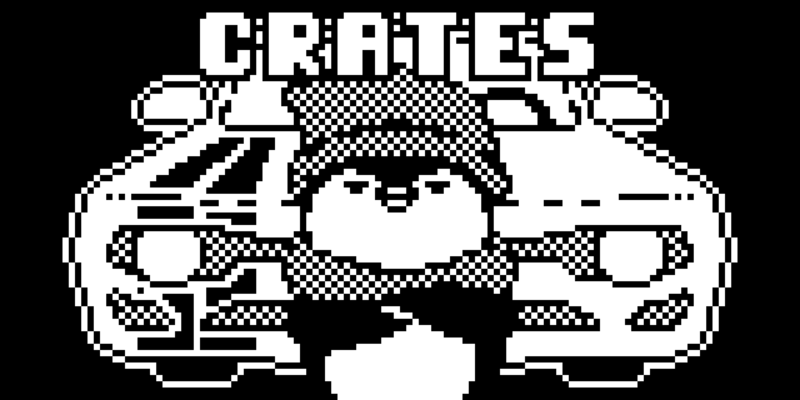 Crates is an Arduboy game. The Arduboy is a credit card-sized game console that runs 1-bit games on a 128x64 pixel display. It's a beautiful machine with beautiful limitations. The ProjectABE Arduboy emulator (embedded above) is a wonder project that lets everyone play Crates in their browser, but the emulator simply cannot replace the experience of playing on a physical Arduboy. Notably, audio in ProjectABE is iffy. If you want the full experience of playing Crates, make sure you nab an Arduboy and load it up!